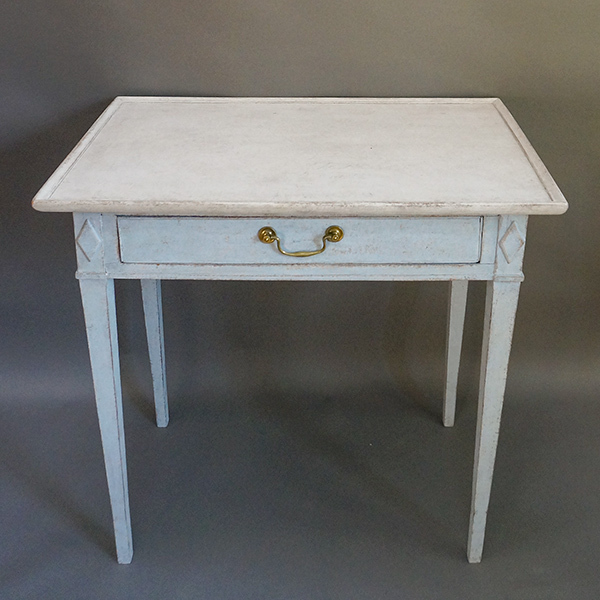 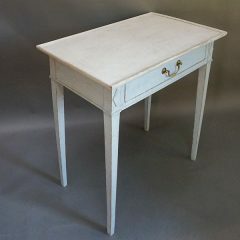 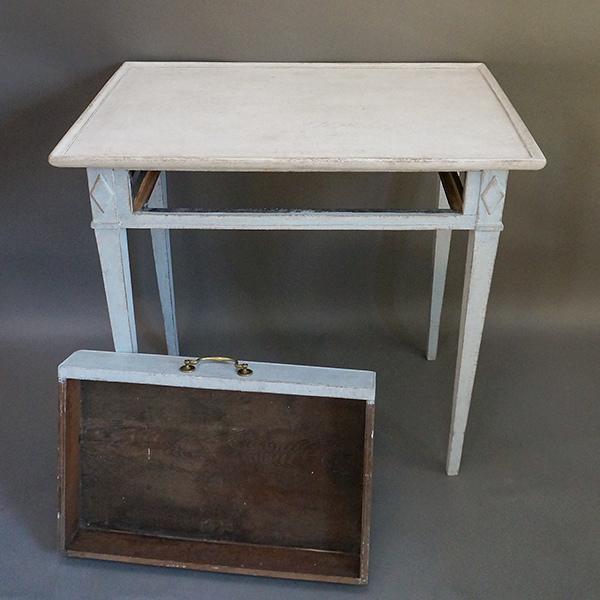 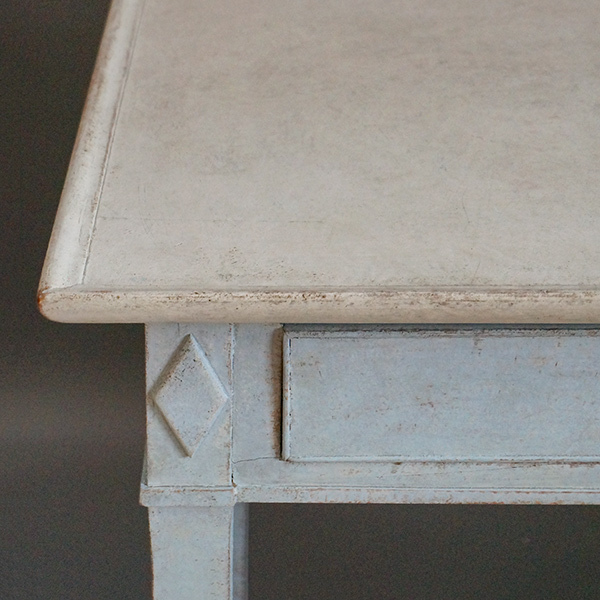 Small side table from the late Gustavian period, Sweden circa 1800. 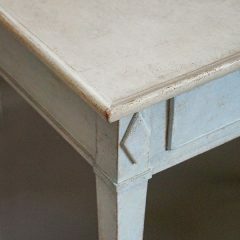 Tapering square legs with raised lozenges on the corner blocks. 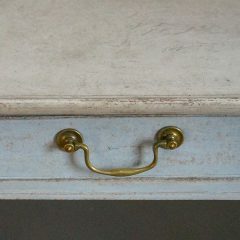 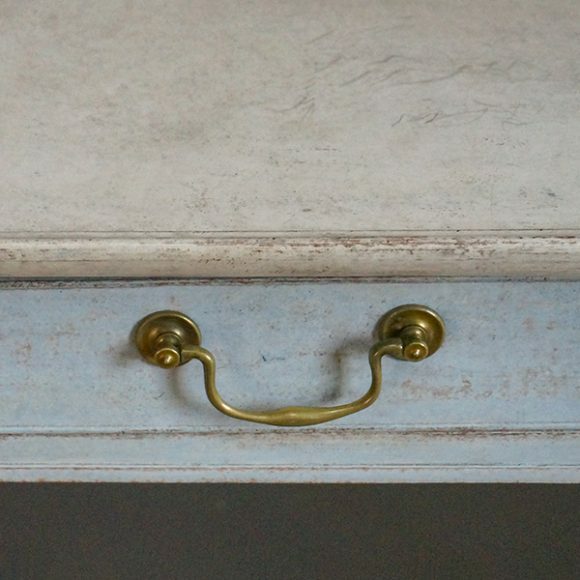 A single apron drawer with brass pull.